How to crack Wifi Password? A group of researchers came up with a hack to get around hardware limitations and add monitor mode to Android devices to allow them to crack Wi-Fi passwords. Monitor mode lets you see all the traffic going through a network and how many devices are connected to it, but it can also be used for more nefarious purposes. If you're patient enough, you can crack the WEP key on a network by capturing data packets in monitor mode. 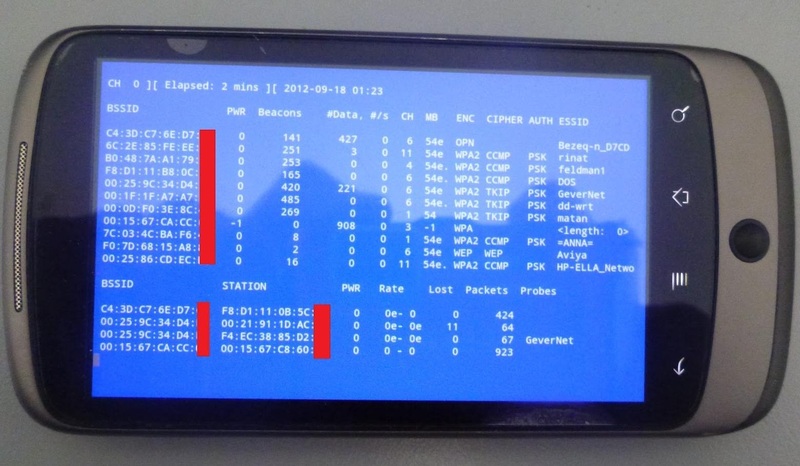 To add monitor mode to an Android device, the researchers reverse engineered the Broadcom radio chip. They modified the firmware on the chipsets in the Nexus One and Galaxy S II, which are the same ones used in the majority of mobile devices. The code is posted on Google Code, but you'll need to know which chipset you have and download the right one for your phone. Once you've downloaded the code, it's as simple as extracting the .zip file, then running the setup and configuration files. They've included instructions for each chipset and a few different devices on their blog, so head over there to find the specifics for yours. After it's up and running, check out one of our tutorials to learn how to use it to crack the key. So, next time your neighbor wants to borrow your power drill, rest assured that you're "borrowing" something much more valuable from them!